China has eliminated one tropical disease - lymphatic filiarisis - but has ten others that are still affecting millions of people and some of which are becoming endemic again, according to a new report. The good news from a review of China's tropical diseases published in The Lancet Infectious Diseases is that the country is on track to eradicate five major diseases (schistosomiasis, leishmaniasis, leprosy, rabies and trachoma) in the next five to ten years. However, the not-so-good news is that some diseases are still uncontrolled and affect millions of people in poorer provinces of the south and west. The most problematic diseases are dengue fever, food-borne parasitic diseases such as liver flukes and Echinococcosis, according to the article by researchers at the Wuxi branch of the Ministry of Health. Professor Yang Guo Jing and colleagues from the Key Laboratory for Parasitic Diseases say that lymphatic filiarisis was eliminated from China in 2007 after a long campaign to remove it from 16 provinces by using mass drug administration techniques. Tropical diseases in the 'near-elimination' stage include schistosomiasis, which has been successfully controlled in most parts of the country and numbers reduced from 12 million to 287,000 in 2011. 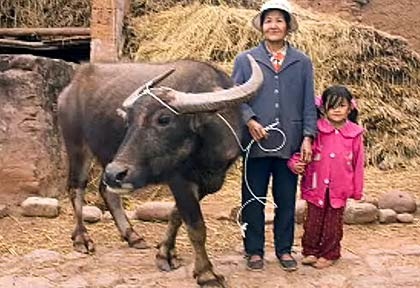 The disease is spread by cattle and water buffalo, and thus changes in farming techniques are needed to help eliminate the disease. Similar improvements in control have been seen for leishmaniasis, the sandfly-spread protozoal infection which used to be common around the Yangtze river basin but now affects only about 2500 people a year. The bacterial infection trachoma that causes blindness is also close to elimination due to implementation of mass campaigns that apply WHO strategies such as facial cleanliness. Rabies has also been controlled, but still causes 2000-3000 cases a year. Immunisation of 70% of dogs at risk should break the cycle of infection, but currently only about 20% are vaccinated. Leprosy was reported to affect about 6000 people in China in 2010, of which about 1300 were new cases. Better surveillance and multi-drug treatment regimens should help eradicate the infection by 2020, the report suggests. China has has less success with soil-transmitted helminthiasis, and there are about 85 million Chinese affected by roundworm and whipworm. De-worming of schoolchildren seems to have only modest efficacy, and so new strategies such as curbs on the use of human waste as fertiliser are needed, the report says. The most problematic tropical diseases for China include dengue fever, with outbreaks of the mosquito-borne infection rapidly emerging as a major public health problem. Climate change is worsening the problem, which requires better monitoring and mosquito management strategies as there is no drug or vaccine for the disease. Another major problem tropical disease for China are the food-borne parasitic zoonoses, such as liver flukes, lung flukes, and other trematodes that may be transmitted by fish, snails and freshwater plants. There are tens of millions of cases in China, which has the dubious honour of having 80% of the 15 million cases globally. New programs are needed to identify high risk disease areas and to address transmission of infection through occupational risk (eg farmers) and also consumption of high risk foods. Control of these many tropical diseases will require huge resources to build and design programs specific for each disease and the high risk locations and populations they affect, the authors conclude.